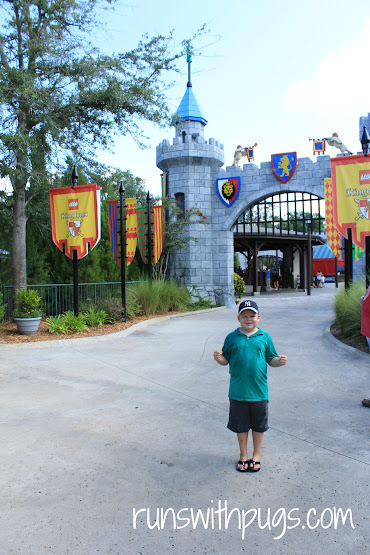 Last week, I posted about our memorable experience at the Legoland Hotel. Today, we will cover Legoland, itself. The park opens at 10:00 AM to regular guests, but annual pass holders and hotel guests can gain entrance at 9:00 AM. It’s a nice little perk, even though the turnstile lines were nothing compared to those at rope drop at other, nearby theme parks. We purchased annual passes at the outside ticket window, but these were paper vouchers that needed to be redeemed for the actual pass. Once we entered the park, we had to go to a guest services counter where we would have our photos taken and printed on the actual pass. Our annual passes provided admission to both parks, early entrance to the parks and a 10% discount off merchandise, and food and drink in both the parks and the hotel. Not too bad. At the same window, guests could also sign their children up for builder workshops. There was a list of classes available for the days, as well as times and number of spaces remaining. I thought about registering little man, but then didn’t want to be tied down to any specific timetable so moved on. Once our cards were printed, we consulted our map. Little man wanted to start in the Lego World of Chima, so off we went. Like most theme parks, everything is divided into themed lands, and each land is host to several rides and activities, a retail venue and sometimes a food outlet. 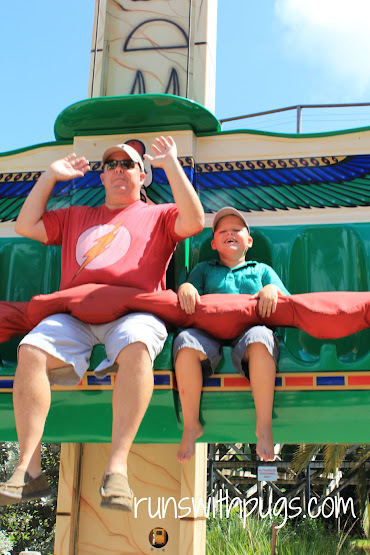 The rides are all incredibly child-friendly, and at just over 52″, little man was technically able to ride everything by himself, if he chose. He rode the Quest for Chi with Mr PugRunner. It was a water ride, where riders seemed to be getting pretty soaked, so I volunteered as bag holder and waited for them at the end. After that, we just started making our way though the lands. He went on the Royal Joust in LEGO Kingdoms. Land of Adventure was a real hit, too. 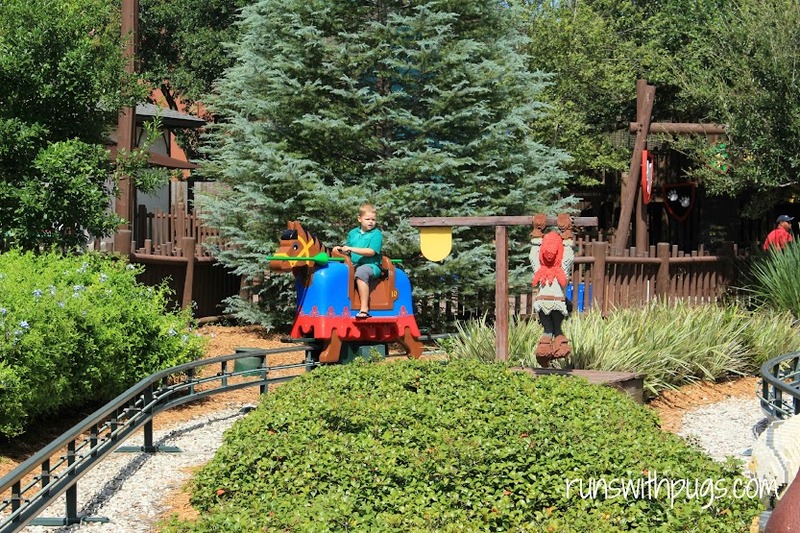 The Lost Kingdom was adorable: a dark ride with a target-shooting challenge included. I could have gone again. Beetle Bounce was a much shorter and tamer free fall ride. Little man has been asking lots of questions about Tower of Terror and free fall type rides and this was a great way for him to feel what it might be like. And then we hopped on Coastersaurus, which was so cool. It was a wooden roller coaster, with some great drops and banks. It was also one of the longer waits of the day, at about 10 minutes, and I think it was one of our favorites. Little man had read something about Star Wars on the map, and I realized that there was a Star Wars display in Miniland USA, so we veered off the path to check it out. In addition to the Star Wars displays, there were scale models of landmarks like the Statue of Liberty and the Seattle Space Needle, the Vegas strip and the Daytona International Speedway. I wished I had photographed more, but I thought we were going to be able to spend more time there later and the next day, so I wasn’t incredibly focused on the camera. One thing little man really wanted was his driver’s license. In LEGO City, kids can attend several “schools” including Ford Driving School (where for $15.99, drivers can get their own personalized driver’s license!) and Flying School (a suspended roller coaster). He had seen the license on the preview of the LEGO Movie, and absolutely wanted that more than anything else, so of course, he had to earn it by driving the course. He was excellent at the stop signs. By this time, we were hungry, so before Flying School, we went into the aptly named Fried Chicken Restaurant for lunch. It was cute, decorated in a 1950s diner theme, and the food was good. Mr PugRunner got three pieces of fried chicken, I had a chicken sandwich and little man had tenders. Everything was hot and pretty tasty (for theme park quick-service). At the point, we had gotten the text from the Legoland Hotel to say our room was ready, so we split up: Mr PugRunner went to get our keys and check in and I took little man to Flying School. Unfortunately, just as we were about to board the ride, it shut down for some kind of issue, so we made our way back to the hotel. At this point, we had seen mostly everything except LEGO TECHNIC and the rest of Miniland USA. Not bad for just three hours into our visit. 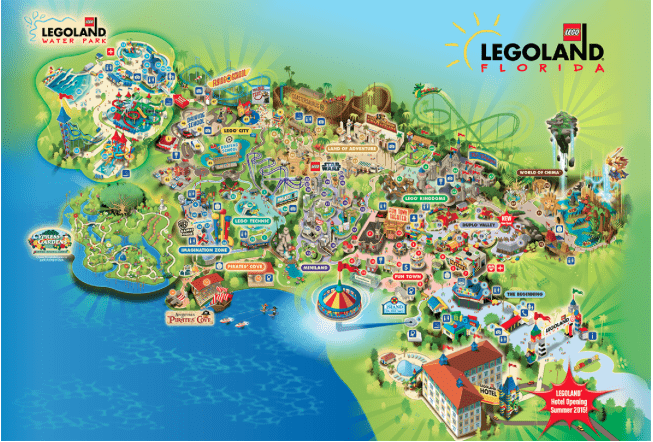 With most of the park completed, we decided to change into our swimsuits and visit the waterpark area of Legoland. I confess that water parks aren’t my favorite. I just don’t love being splashed or walking around in a wet bathing suit, and I am always afraid my contacts are going to pop out. But this was a special occasion, so I decided to go for it. Once we were though the turnstiles, we went to the lockers to drop off our bags and extra belongings. The area was packed with people coming in and out of the aisles, and it was tough maneuvering to the automated machine to pay for our locker assignment, and then to the locker itself. However, once our things were securely stowed, we were able to move on to the lazy river. This was pretty cool, because some of the tubes had little building platforms on the sides, and there were random foam Lego blocks floating in the current with which you could build. It took a few minutes to get tubes and settled. And just as were floating merrily along, we were directed to exit the area because of lighting. The rain started in earnest minutes later, and we were pretty well trapped under the covered area of the park. On the plus side, this area included a snack bar, and so we were able to get some ice cream and adult beverages while we waited it out. The downpour slowed to a hard drizzle, but unfortunately, it wasn’t letting up. We admitted defeat, claimed our items from our locker and made our way back to the hotel. At this point, the park was pretty much shut down – the majority of the rides are outside and the threat of lightning creates a bit of safety hazard. We admitted defeat. We were hoping to get to the things we had missed the next day, but the weather wasn’t with us. Thanks to our hotel status and annual passes, we were able to enter the park an hour before official opening, but only a handful of rides were scheduled to be open at that time (all of which were between the entrance and Miniland USA), and after Mr PugRunner and little man hit a few repeats, drops were already starting to fall. And so ended our trip. Legoland is very small and very laid back. On the day we went, the longest line was maybe 20 minutes long, and that happened exactly twice. The rest of the rides were practically walk-on. Food outlets only seemed crowded during rain. Even at the height of lunch time, we were able to walk right up to the counter, place our order and secure a table. It was nice. We did absolutely zero research before purchasing our tickets, and really the only thing that we might have missed was Minifig Trading. (Yes. This is a thing. The lovely woman in the hotel sundries shop clued me in: all employees have minifigs on their name tags and will trade with park guests. You can bring your own minifigs from home or purchase (either remade in sealed bags or make-your-own at one of the stores) in the park. This was little man’s absolute favorite thing to do, and it was really fun watching him make his trades.) We had no plan, and no schedule, and that served us quite well throughout the day. Lockers are provided at locations around the parks, but each queue also has cubbies at the ride boarding area. Ride operators are strict about guests not carrying on bags or purses, or wearing hats or loose objects. People are free to stash their items in the open cubbies for the duration of their ride, in lieu of renting an actual locker (obviously, do so at your own risk – ride operators are not responsible for your items). Another cool thing is that Legoland is pretty green. Check out the park benches. There are plenty of trash and recycling bins all over, all made of similar recycled products. I loved that detail. While I think Legoland lacks the wow factor of nearby amusement parks, it provides a nice way to spend a day without the huge rush. Had the weather cooperated, we would have comfortably completed both parks in one day, in a somewhat leisurely fashion. 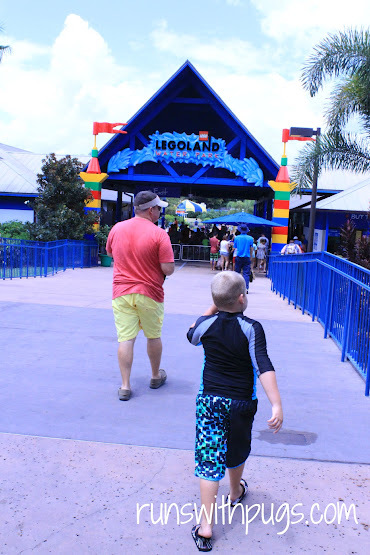 The rides were smaller and shorter than at other parks, too, but they were great for a child who loves Legos, loves rides and is on the cusp of trying new and more adventurous things, as well as wanting to stretch his wings and try some things on his own. It will be great to go back and finish what we started the next time we have a free weekend! Legos – yay or nay? Do you prefer to precisely schedule your theme park experience or try to go with the flow? By the time they started building Legoland here in California both my boys were too old. I’m looking forward to taking my grandchildren there. And we’ll probably go with the flow, because planning, I’m not so good at it. Your grandkids will love it! I’m sure there are some differences between the CA and FL version, but all in all, I bet it will be fun! And you will love it, too! 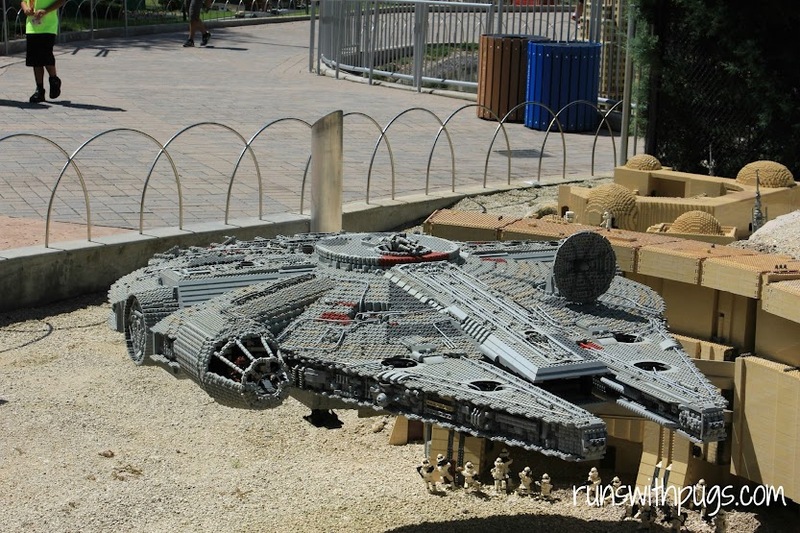 I would have paid the price of admission just to see that AWESOME model of the Millenium Falcon! This was very cool. If I were to do, say a week-long or longer Florida vacation, this park could very well be a nice change of pace. Kind of a rest day from all the hustle and bustle of the “big” parks and that’s not putting it down at all. There seems to be a lot of fun things to do. There was at least one scene per movie, and most of them were animated with smoke effects, sounds and music. The attention to detail was RIDICULOUS. It was so nice to just kind of chill and wander around and not worry about lines or crowds or any of that. Oh, that I had the resources (time and money, though time is BY FAR the bigger concern) to visit. When we last did Florida, we did Disney – and had a great time. But, staying on Disney premises meant that we didn’t get to even really consider Universal or Lego or Sea . . . all of which I think I need to remedy somehow. 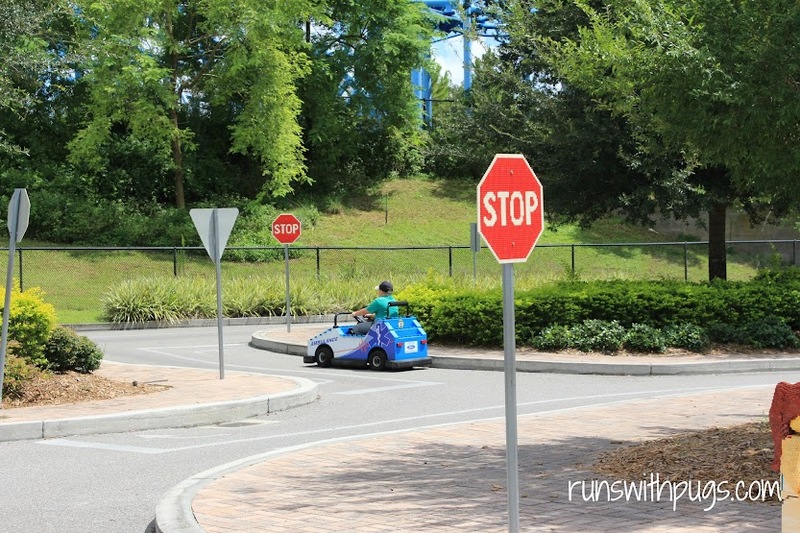 My current plan has me DRIVING down next time, and, while I plan to stay on Disney property, probably (it’s just so go from Disney thing to Disney thing), to take a day for Universal (Harry Potter world, especially) and to take a day for Legoland. And maybe some time with something gator-specific. It’s definitely a different ball game when you’re more than a couple of hours away. And yes, once you are on the Disney grounds, it’s really challenging to make your way out. I would probably advise two days for Universal, though (unless you plan on getting the multipark Express Pass). It’s way too much for just one day, especially if it’s crowded. And Legoland is a fun stop. It’s a bit of a hike (40+ minutes), but cool is you can swing it. I can’t help with gators. I avoid them like the plague. What a bummer that the weather didn’t cooperate for you to be able to fully experience Legoland. Hopefully you’ll be able to get back there soon! I think we will. It’s a little bit of a longer drive than Disney, but we’ve done a commando day before and it’s not like we have to be at the park before dawn in order to have half a chance at the rides. I’m always game for that. Oh, man! I remember Sesame Place! Legoland is a nice option to break up the mega parks. This is the first I heard that Legoland had a water park. Bummer that the weather wasn’t cooperating but with the annual pass you can return anytime right? Yup. The entrance is allll the way at the back of the park, and it looks to have some decent slides and attractions, but we never got to see it. It’s only a far walk, when you’re trying to slosh back to your hotel though the rain. Very cool. My nephew would love this so much! It’s the perfect place for a Lego-lover! We sure missed out on Legoland! My boys are too old for it. But it really looks like fun! I wish they had something like that back when I was a kid. It was just a great way to spend the day! My hubby loves Legos and more recently the more “adult” version nano blocks. 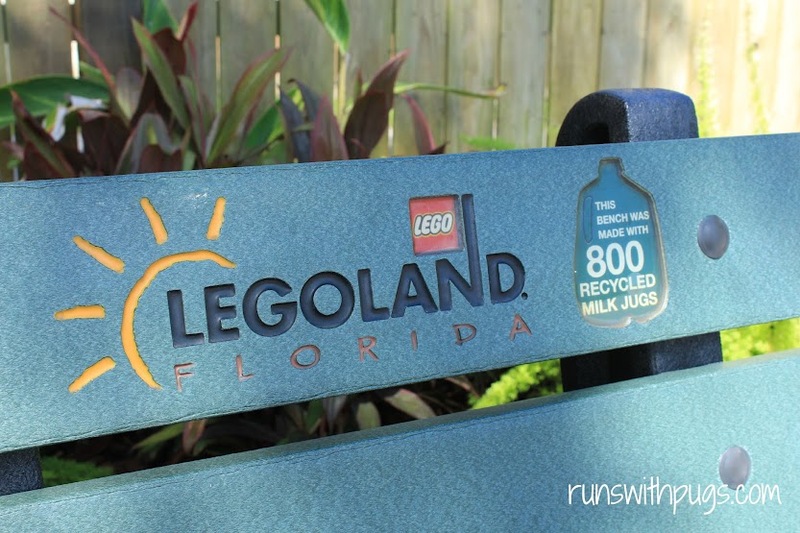 Lego Land is definitely on our bucket list for an upcoming vaca and I had no idea there was also a watermark! It was a sad day in my house when little man no longer needed adult assistance on building his sets. That was pretty much my favorite part of gift-giving holidays. Sigh. This looks like so much fun! The last time I was down there was years and years ago but I do want to take a trip down with my BF, especially before having kids, so that I can experience it all without children, and then obviously with children haha. I also want to go to Harry Potter world! Harry Potter world is amazing. It’s great with kids, but it’s also great without. To be honest, I don’t know how awesome Legoland would be without kids. A lot of the rides just aren’t really made for adults (or even older kids, think 11 or 12 and up). For the price of the tickets, I’m not sure if it would be a good value, but if you love Lego, well… that’s the place. Mary Beth Jackson recently posted…The Climb- Tour de Fox! No way! We didn’t see the show because of the weather! Now I am extra motivated to go back! Would love to take my children here someday.Nice pics. Thanks. It was a fun couple of days. I know a few little boys that would be in absolute heaven there! There was an entire section based on Lego Friends, too! Girls aren’t left out for sure! What a great trip and, may I add, a major full day workout. The best part, as I read your post is that you got to enjoy a wide range of activities without even having to think about how good it all is for the body and our need for movement. Love it! This is true! You really don’t realize how much hauling around you do in a theme park. Legoland is nowhere near as large as Disney, so you’re definitely not logging miles and miles, but there was a fair amount of walking involved. I bet a birthday party there would be so cool! Ah! I missed this post somehow. I was stuck in the horse show vortex. Legoland looks so fun! I like the idea of a not crowded theme park. Plus legos are awesome. Such a bummer about the weather, but hopefully you’ll make it back there soon!